Cegelec Fire Solutions provides innovative and effective fire protection made to measure. 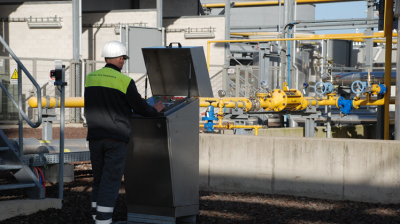 In close cooperation with its customers, it optimises fire protection systems to ensure maximum Safety. Tailored solutions are essential for efficient fire protection. Because every company or organisation has its own risk profile. Cegelec Fire Solutions adapts the system to the unique situation. Years of experience and expertise in fire protection make Cegelec Fire Solutions a reliable and professional partner. At the national and international level. It distinguishes itself by offering flexible and fast service 24/7, and supports its customers with advice, design, engineering, installation and maintenance. Cegelec Fire Solutions offers its customers the highest quality standards in its field of expertise. To guarantee this, regular internal and external audits are organised while Cegelec Fire Solutions also has all the necessary certificates. Cegelec Fire Solutions realises creative and qualitative solutions. It offers added value through smart engineering and innovation. An example is the Foam Test Car: this allows Cegelec Fire Solutions to test foam extinguishing systems at the customer location in a simple and reliable manner. Cegelec Fire Solutions guarantees its customers safety. The safety of their buildings, facilities and products, but especially that of their employees. For Cegelec Fire Solutions, safety is a top priority. This is why it continuously works on the safety awareness of its own employees. This matches the aim of VINCI Energies of 0% of accidents.